ZTE Corporation (0763.HK / 000063.SZ), a major international provider of telecommunications, enterprise and consumer technology solutions for the Mobile Internet, today announced that it has filed 2,080 patent applications under the Patent Cooperation Treaty (PCT) in 2018, ranking 5th in the number of published PCT applications, according to the World Intellectual Property Organization’s latest annual table of patent applicants in 2018. Moreover, the company’s cumulative PCT patent applications have reached over 29,000 in total. It is the 9th consecutive year for ZTE to be among top 5 PCT applicants worldwide. ZTE ranked 1st in PCT patent applications in 2011, 2012, and 2017 respectively. By December 31, 2018, ZTE had cumulatively filed over 73,000 patents globally, with more than 35,000 granted worldwide. As a major participant and contributor to global 5G technological researches and standardization, ZTE has been intensifying its investment in 5G arena. To date, ZTE has submitted more than 7,000 5G NR/NexGenCore standard proposals and over 3,000 5G patent applications to international organizations, such as 3GPP. In addition, ZTE has declared over 1,200 families of 3GPP 5G standard-essential patents(SEP) to the European Telecommunications Standards Institute (ETSI), with more than 300 patents related to 5G devices. 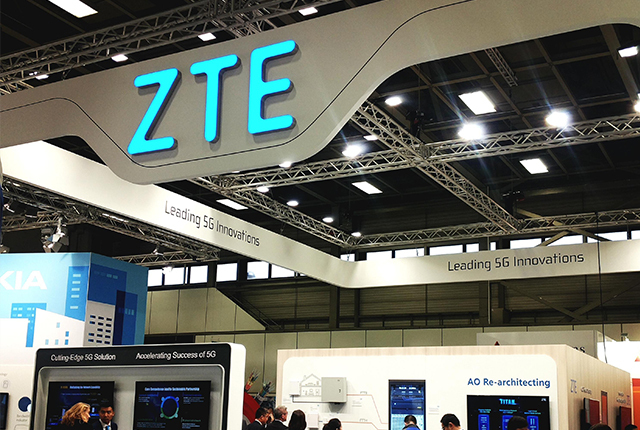 ZTE is poised for 5G end-to-end commercialization by making comprehensive product deployments in key fields including wireless, transport, core network, vertical industry application, and device, and it has completed the intellectual property layouts in these fields, aimed at guaranteeing the carryout of 5G services. Furthermore, ZTE has widely collaborated with 30 global operators in 5G, maintaining its industry-leading position in the commercial network practices of 5G key technologies.